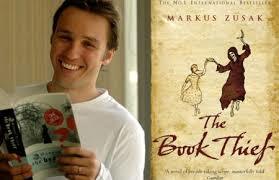 When Australian author Markus Zusak saw his novel “The Book Thief” hit the New York Times Best Seller list in its first week of publication back in 2006, he had no idea that the book would stay there for a remarkable 230 weeks. In the decade that’s followed, the book has won several awards, was turned into a hit movie and made a household name of its author. 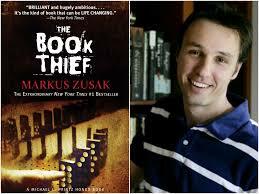 Last week, in celebration of the 10th anniversary of the international bestseller, a special edition of “The Book Thief” was released, containing 14 pages of bonus content including marked-up manuscript pages, original sketches, and pages from Zusak’s writing notebook, as well as a letter from the author and a new jacket. Loria: I have always wondered how you decided to make death an actual character. I can see the whole story existing as complete without it. Was it always your plan and what was the genesis behind it? Zusak: I was writing with some kids at a school and had them write about colour, and I wrote with them and ended up with three short pieces about three deaths, all written from the point of view of Death himself. I thought, ‘Maybe that would work in that book I’m setting in Nazi Germany…’ It seems that many ideas that go the distance are just offhand thoughts at first. There were times when I abandoned Death as the narrator and had Liesel narrate herself, then used a third person narrator. But Death kept calling himself back into the book, for many different reasons – but mainly just the voice itself. It was something that maybe freed me up to write exactly how I wanted to. Loria: What personal experiences helped you portray the feelings and events Liesel experienced throughout the novel? Zusak: When I was growing up in Sydney, my mum and dad would tell my siblings and me their stories of growing up in Germany and Austria during and after World War II. It was like a piece of Europe entered our kitchen, as we heard about cities that were burning while the ground was covered in ice, kids who gave bread to Jewish people and other so-called criminals on their way to concentration camps, and many other moments. When I sat down to write, it was like scratching a small hole somewhere in my mind, reaching in and pulling out that world. Loria: Looking back on the book a decade later, is there anything you would change if you had the chance? Loria: The book has obviously connected with so many people—and people of all ages—what does it mean to you as an author to have your writing so beloved? Zusak: It’s still surprising all these years later, especially considering I thought this would be my least successful book. I thought the subject matter and the size of it and Death as narrator would all count against it, so apart from surprise, I’m still extremely grateful to anyone who has read it, and even more so to those who’ve then passed it on to family and friends. Loria: What sort of books do you like to read? Do you have a guilty pleasure book or author and can you recommend a good teen and kid’s book for our readers? 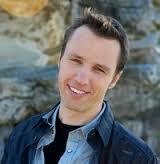 Zusak: I tend to read and reread favorite books, rather than reading widely as most authors say you should if you want to be a writer. I always found that rather than read, say, three books in a month, I would read the same book three times – and that’s how I learned to write, most likely. In that regard I’ve read S.E Hinton’s ‘Rumble Fish’ many times over since I first read it when I was 14. Zusak: I was hoping to have it finished, at least as a draft, when I came up for this trip, but it’s the kind of book that won’t be hurried or bullied. That said, I’ll still be working to get as much done as I can while I’m up here. It’s still called “Bridge of Clay,” about a boy who’s trying to make one perfect thing and in doing so, builds his life into a bridge.